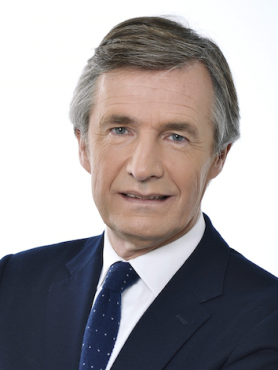 Nicolas Beytout, age 61, journalist, is the founder of a new daily, a Web–print–Video–Apps media called L’Opinion. He is active on other medias, Radio : Europe 1 as a Columnist. Televison : LCI, France 5 (C dans l’Air) . He graduated with a degree in law and a BA degree from Sciences Po. He is Professeur at Sciences Po. He won different awards for his professional contribution. He is Chevalier de la Légion d’Honneur.